All of the above come standard with Express Service and no appointment is necessary. Contact our service team for more information about Express Service. *Price advertised for Service A/Service B includes all factory-required components. Please refer to your maintenance booklet for the complete list of factory-required services and details on the specific intervals for your vehicle’s year and model. (Valid for MY09-newer). All fluid level checks and corrections are dependent on factory-recommended service intervals for your vehicle’s year and model. Those who own a Mercedes-Benz know that these vehicles have been designed and engineered to perform at the highest levels and expectations. After all, it’s the best or nothing right? In order to ensure that Mercedes-Benz vehicles continue to function at their best, regularly scheduled maintenance is essential to keep your vehicle running how it was designed. At our Mercedes-Benz dealership near Huntington Station, New York, it is easier than ever for customers near and far on Long Island and Suffolk County to keep up with their scheduled maintenance with Mercedes-Benz Express Service. If you are looking for a wiper-blade replacement, Mercedes-Benz tire rotation, or a battery replacement, Express Service is definitely worth a try. We know your time is extremely valuable, and that is why Mercedes-Benz Express Service is tailored to minimize your time waiting for your Mercedes-Benz to be serviced. 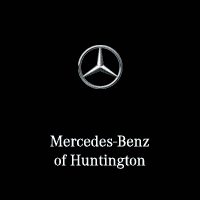 Express Service is the same wonderful service you expect from Mercedes-Benz of Huntington, only faster. Our team of Mercedes-Benz Factory Trained Technicians work together to perform the required maintenance on your Mercedes-Benz, in about 1 hour or less. If you request a car wash, please allow an extra 10-15 minutes for the car to be cleaned. We promise it is worth the extra time to see your Mercedes-Benz shiny and clean! Whether you’re getting a New York State Inspection, Cabin Air Filter Replacement, or a Mercedes-Benz Genuine Oil Change, you’ll be in and out in no time with Mercedes-Benz Express Service. We encourage you to give Express Service a try for your next scheduled maintenance appointment. Make your next appointment online or contact us and see why this service is so great for the busy customers of the Commack and Northport area!